Psoriasis turns your skin cells into overachievers, but in abnormal terms. That is the cells mature 5 times faster than what is seen in cells in normal skin. Besides, these cells pile on the skin’s surface that too in real quick time. Initially, Psoriasis was considered as a hyper proliferative disease. In other words, it was seen as the skin was producing too much skin. As a result, the treatment was directed towards regulating the growth process. A few years down the line, researchers realized people undergoing bone marrow transplants became free of Psoriasis when they were given a drug to suppress the immune system. This led to the fact that Psoriasis comes into the picture because of the malfunction of the immune system. Another observation here was the T cells that are a type of white blood cells overgrow and attack the skin where Psoriasis is located. This was an abnormal activity. The main purpose of the immune system is to fight against external invaders and protect one’s self. However, the immune system of a person suffering from Psoriasis promotes inflammation and the skin cells grow in real quick time. The normal reaction of the immune system should be to release proteins more commonly referred to as cytokines. Cytokines is something that the immune system uses to send messages. However, this is not the case with someone suffering from Psoriasis. Here, cytokines get mixed signals. As a result, the skin cells pile up and the skin only thickens and the area becomes red and the blood flow increases. The cause of Psoriasis remains a mystery till date. However, studies have revealed, it is quite likely the interplay between genes and triggers play a major role here. As per researchers, Psoriasis is born when something mistakenly triggers the immune system. In Psoriasis Arthritis or Psoriasis that affects the joints in the bones, it is understood both genetics and environmental factors are responsible. 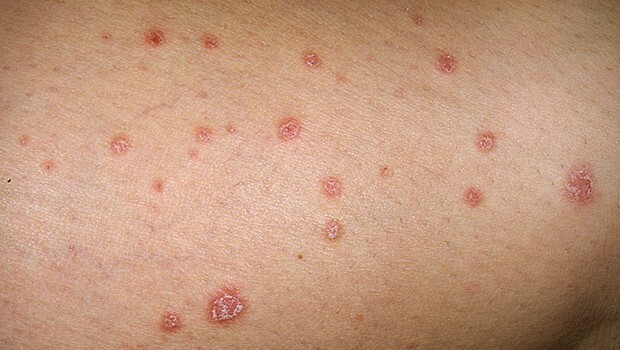 A wide range of triggers cause Psoriasis. These triggers vary from individual to individual. The common ones are as below. Again, the symptoms may vary from person to person. However, they may include one or more of the following symptoms. 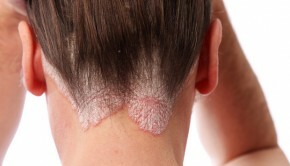 To conclude, Psoriasis is not a good sign and one needs to be treated at all cost. The earlier you detect the infection the better it is for you. The recovery process will always be smooth and effective if you get treatment at the earliest possible stage of detection. Treating the infection at a latter stage may not work and could adversely affect the health of the person. There are numerous home remedies available for Psoriasis and people have managed to regain a normal life. For the people suffering from Psoriasis it is important they maintain basic hygiene and keep the skin clean. This will go a long way in recovering from the infection. Special care should be taken when it comes to children. They may not be aware about the symptoms and if spot do appear on the skin, they definitely should not be ignored. Due attention should be given as this will ensure the infection is treated and cured in an efficient manner.